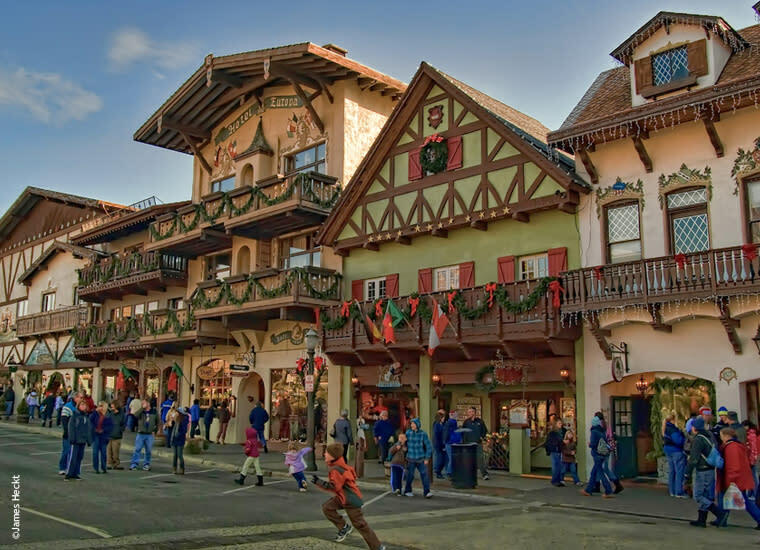 Leavenworth, with picturesque old-world charm, has many Bavarian shops, restaurants, and Oktoberfest Festival events, including a Saturday noon parade. Pickup is on Saturdays, 8 AM at the EMP at the Seattle Center. Upon arriving in Leavenworth your time is free to shop, sample German brews, and enjoy Oktoberfest Festival music, food and events of your choice until re-boarding at 6 PM for return to Seattle. The Oktoberfest Festival Compound is a couple of blocks from the village shopping core, between 10th and 12th streets in a gated area. Festival tickets are not included in tour price and tickets are required for admission â€“ $20; Military with ID and children under 12 free. You will have many opportunities to photograph the awe-inspiring scenery around you as well as the charming Bavarian style shops, scenes and promenade, so donâ€™t forget your camera! Call Seattle Southside to book with special promo code and save 50% on your tour price!